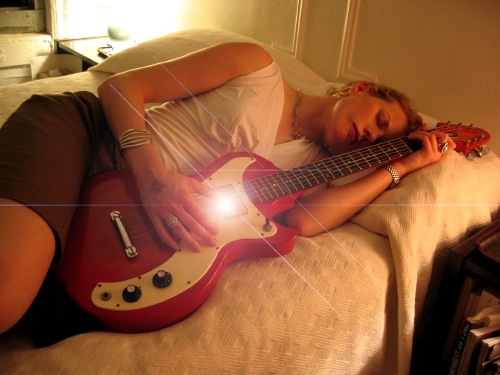 Bedroom Guitars cracks open the door to unveil timeless melodies coalesced over years of quiet seclusion. Persona singularis Caroline Linder employs four-track, voice, guitar and occasional keyboards to forge a gorgeous minimalism that will be welcomed by private devotees of both Young Marble Giants and Cocteau Twins. Stripped-down, intimate compositions leave room for expansive vocals that simultaneously touch you while pushing you away. Listen to Rapping at My Chamber Door and discover a pearl in your ear.